Click here for a comprehensive media toolkit. New York – February 25, 2016 – A panel of world renowned thought leaders from research, clinical practice, policymaking, pharmaceutical industry and patient advocacy convened today to discuss and debate the latest advances and insights into blood cancer research and treatment, drug costs and patient access, and patient advocacy and policy. 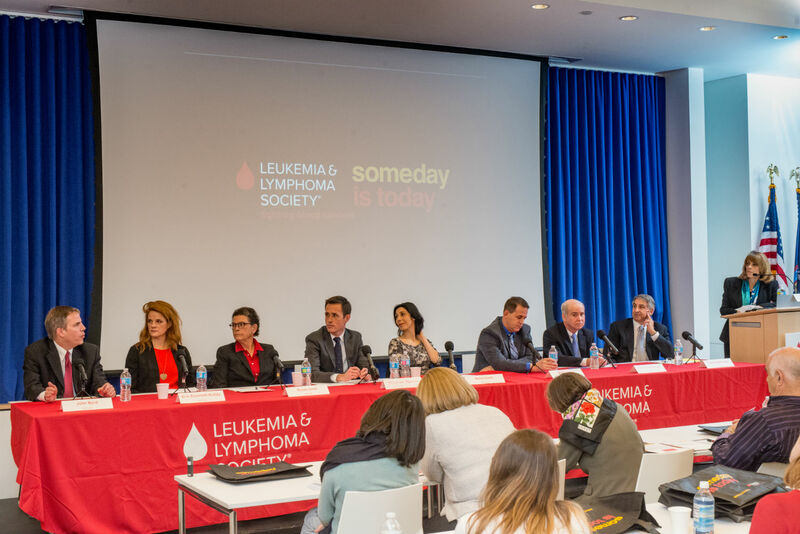 The roundtable was organized by The Leukemia & Lymphoma Society (LLS), the world's largest voluntary health agency dedicated to fighting blood cancer. Today, there are virtually no means for preventing or early screening for most blood cancers, and more than one-third of blood cancer patients still do not survive five years after their diagnosis. At the same time, survival rates for many blood cancer patients have doubled, tripled and even quadrupled since the 1960s. The panelists noted this dichotomy and discussed the barriers and opportunities facing the blood cancer community in advancing new treatments, including drug costs and access, precision medicine, patient engagement, and regulatory and policy changes. The Leukemia & Lymphoma Society ® (LLS) is the world's largest voluntary health agency dedicated to blood cancer. The LLS mission: Cure leukemia, lymphoma, Hodgkin’s disease and myeloma, and improve the quality of life of patients and their families. LLS funds lifesaving blood cancer research around the world, provides free information and support services, and is the voice for all blood cancer patients seeking access to quality, affordable, coordinated care. Founded in 1949, LLS has chapters throughout the United States and Canada. To learn more, visit www.LLS.org. Patients should contact the Information Resource Center at (800) 955-4572, Monday through Friday, 9 a.m. to 9 p.m. ET.